Can you create sentence diagrams using the clues below? Give it a shot! The answers are at the bottom of the page. Here is the sentence for today's Puzzler. Can you use the clues to create a sentence diagram? 1. 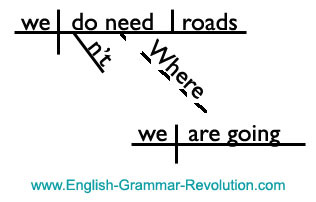 Can you diagram the following sentence? Ice cream and cheese are common toppings for apple pie. 2. Treat ice cream as one word. It is a compound noun. Ice cream is one of two subjects in this sentence. The other subject is cheese. 3. This sentence contains an intransitive linking verb and a predicate noun. 4. This sentence contains an adjective modifying the predicate noun and a prepositional phrase modifying the predicate noun. 5. 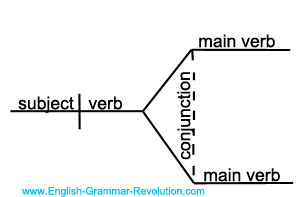 The skeleton for your sentence diagram looks like this. Do you know the answer? Can you diagram it? This Puzzler is brought to you by Stay Smart: 188 Advanced Sentence Diagramming Exercises, a book that contains lots of fun facts to diagram. Jack-o'-lanterns were originally carved from large turnips. 2. This sentence contains the verb phrase were carved. 3. Originally is an adverb modifying the verb. 4. From large turnips is an adverbial prepositional phrase modifying the verb. 1. This is an old slogan for Energizer batteries. 2. It is a declarative sentence. 3. 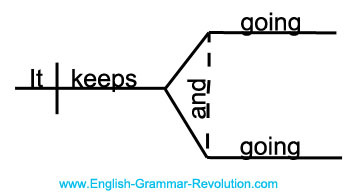 Keeps is acting as a helping verb. The main verb is compound. It is connected with a coordinating conjunction. 4. The skeleton for your diagram looks like this. Do you know the answer? Can you diagram it? 1. This slogan for Sprite was launched in 2004. 2. This sentence is a command. Commands are also called imperative sentences. All imperative sentences have the implied subject (you). 3. 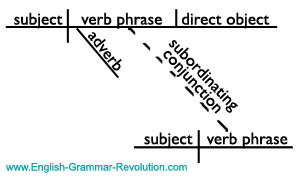 This sentence has a transitive active verb and an adjective modifying the direct object. 4. The skeleton for your diagram looks like this: Do you know the answer? Can you diagram it? 1. Friday was the 142nd birth anniversary of Maria Montessori. Can you diagram this fact about her life? Maria Montessori was born in Italy in 1870. 2. Maria Montessori is a compound noun. Both of the words are functioning as the subject of the sentence. 3. This sentence contains a verb phrase. 4. 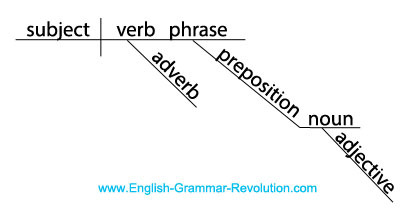 This sentence contains two prepositional phrases modifying the verb. 5. 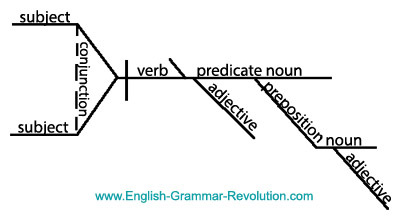 The skeleton for your sentence diagram looks like this: Do you know the answer? Can you diagram it? Today's Puzzler comes from the 1989 film Back to the Future Part II. Do you remember that movie? 1. 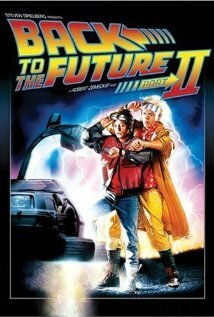 Can you diagram Doc Brown's memorable line about the status of roads in 2015? 2. This sentence contains an independent clause and a dependent adverb clause. 3. Both clauses contain a verb phrase. 4. The independent clause contains a direct object. Stay Smart: 188 Advanced Sentence Diagramming Exercises includes a key for each sentence diagram. I have to tell you how much I love your product. I have struggled with understanding grammar my whole life, and I felt like I was stupid because I could not memorize the rules. I was seriously leaning towards walking away from my dream job as a college professor because of my embarrassment and fear of getting caught as being a fraud! Thank God for you! I have confidence, and I actually love grammar now. Thank you for everything!